Do your kids love Lilo and Stitch, Madagascar or George of the Jungle? Well, being at the Otway Fly is just like being inside one of these animated movies. The kids can zip through the rainforest much like George swings through the jungle or they can walk high above the trees on the world's tallest treetop walk. I recently visited the Otway Fly solo to try out the Zipline Tour and stroll the Treetop Walk, but in hindsight I wished that I had taken the kids along too, because I think they would have enjoyed the Zipline Tour, the Treetop Walk and the Rainforest Ranger Trail. Kids as young as 5yo can join in the Zipline Tour. Whilst I was there a little girl aged 5 or 6yo was having an absolute blast zipping from cloud station to cloud station. She had absolutely no fear and was putting most of the adults to shame as she was trying to 'fly like a bird upside down'. Whilst I can't give you a review of my children's experience, as they weren't there, here is a great article from Bushwalking Blog on doing the Zipline with children. The walk above the Treetops is stunning and whilst not normally something most kids would take in, I think the novelty of being so high up on the platforms and gently swaying with the wind amongst these tall trees is something that they will find very special, and as a bonus, educational. 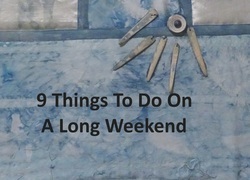 For a more comprehensive review of my experience, jump over to my article on WeekendNotes here. Treetop Walk is $25 adults, $15 4-15 years, $70 family 2A 2c and $21.50 for seniors. Entry is cheaper if booked online. Address: 360 Phillips Track, Weeaproniah, 3237 Vic.